It’s no secret how important the scapula is in the health of an overhead throwing athlete. A stable scapula gives rise to a healthy, mobile, glenohumeral joint. The scapula is to the shoulder, what the low back and pelvis are to the hip. The human body is always stabilizing, and mobilizing at the same time to create motion. 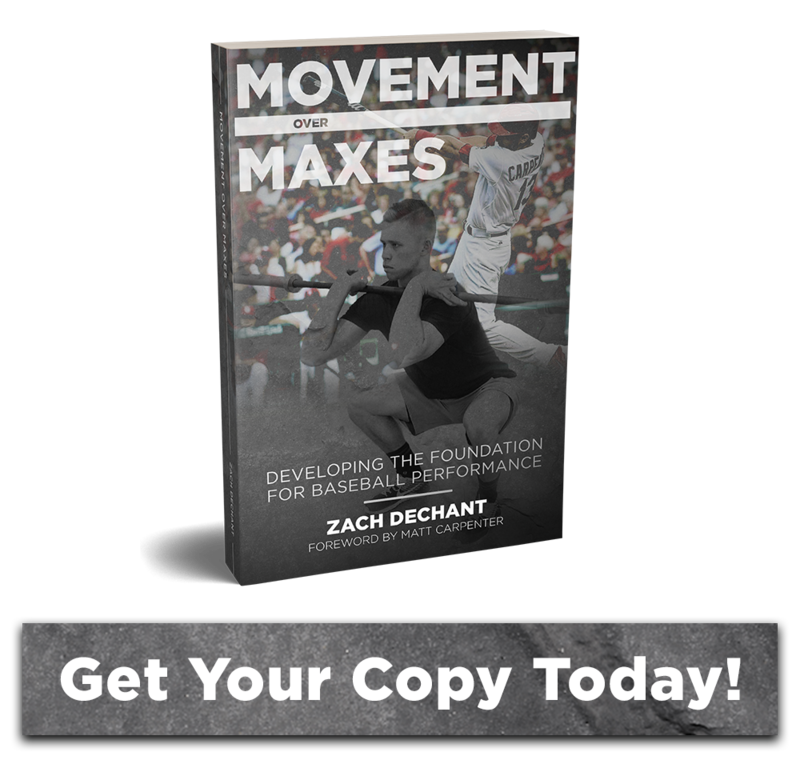 Look no further than Mike Boyle’s Mobility / Stability Continuum article for further clarification that summarizes the body’s organization in movement. That means for the shoulder to effectively move, the scapular complex must aid in stabilization. The shoulder’s greatest asset, its range of motion, is also its greatest enemy. With great motion comes great instability, and it’s here the scapular stabilizers come into play. Kibler and Warner summarized the importance of the muscles involving scapular, and glenohumeral control. A previous post of mine, including the above findings, titled Scapular Instability 68% and 100% explores the issue of virtually all glenohumeral stability issues stemming from the sacpluar complex. It’s that important in the grand scheme of shoulder health. We as coaches may be doing our fair share of training the scapular stabilizers to prevent injury but we may not always be seeing the end result of healthier athletes. We’ve all had an athlete get hurt and the physical therapist comes back with “The backside is super weak,” or “Can’t fire his lower traps at all.” The questions then becomes where is the deficit then if I’m training those muscles but in the same sentence the physical therapist says they can’t control those same muscles. How can we as coaches create and teach “better control?” This article will touch on 3 things that can go a great distance creating stronger, more active scapular stabilizers, hopefully with an end result of healthier overhead athletes. We see all the time athletes who compensate motion at one joint for motion at another. One of the biggest involving the scapula is the rib flair. I said Rib flair, not Rick Flair. Athletes will over extend the lumbar spine and arch into extension in lieu of scapular motion with many pulling movements. This compensation pattern happens during retraction/depression as well as overhead flexion. Although different mechanisms can be at play with the opposite ranges of humeral movement the major compensation to the goal of proper scapular control remains. An uncomplicated way to work towards fixing this issue is through the use of a foam roller to aid in movement patterns. The foam roller gives athletes the cue of keeping the spine flat throughout movement and in essence eliminating the rib flair, and extension through the lower thoracic, and lumbar spine segments. The beauty in the foam roller is that it also allows free movement of the scaps around the thoracic cage. An athlete laying on the floor essentially locks their scaps to their body and it becomes extremely difficult to get motion. Controlling the tempo of the movement have can great benefit when it comes to the scapular stabilizers. A huge problem we see is athletes rushing reps with no purpose when it comes to the backside. 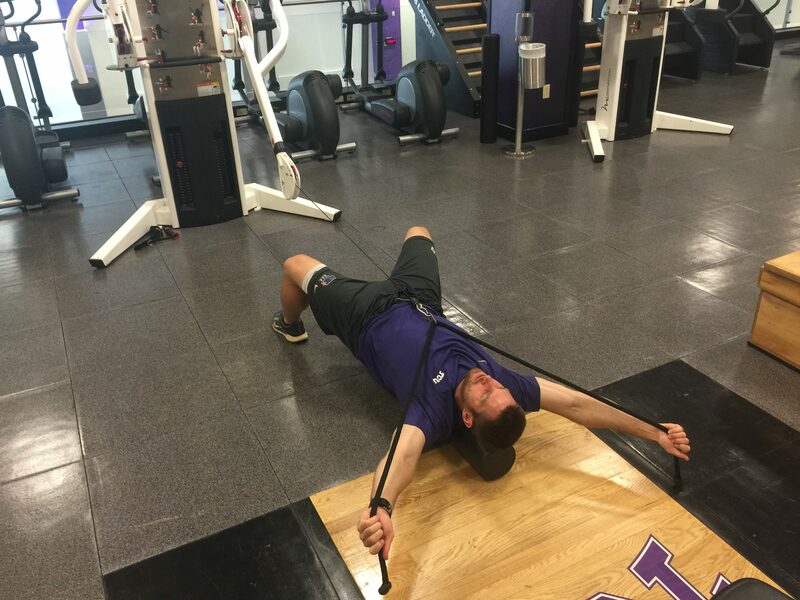 I believe the best place to use controlled/mixed tempos are with pulling, and scapular exercises bar none. A set tempo forces an athlete to slow down allowing for increased awareness of not only the technique of a movement but focus on specific areas of activation. This ties into the 3rd concept as well of the mind muscle connection. We use a variety of pauses, as well as eccentrically controlled lowering schemes. 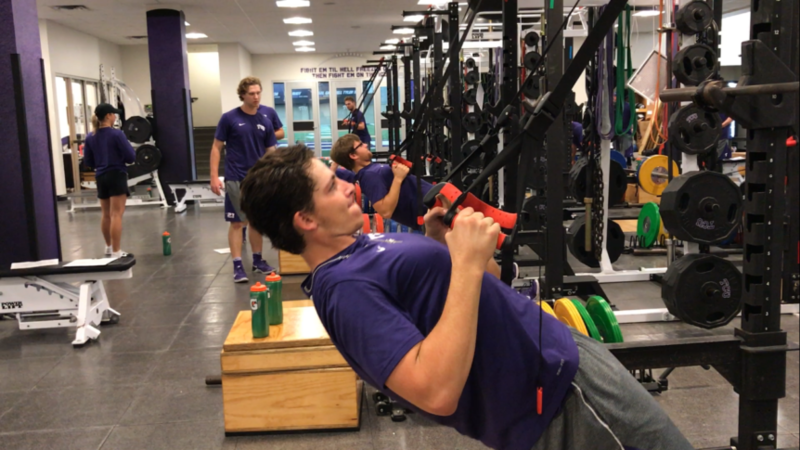 What creates a higher demand for the scapular stabilizers….15 blown through reps that required less than 15 seconds to complete or a set of 8 reps with a 2 count isometric pause at the top and 4 count eccentric lowering. I’ve actually timed athletes doing 15 reps of a T exercise in under 15 seconds. Seems hard to do but it’s achievable, I kid you not. How much actual scapular control, activation, and strength do you think they’ve built with that set? I would have to guess very little. Slower tempos again allow increased focus which in turn can allow an athlete to adjust intraset to a movement. A common compensation pattern is shrugging a horizontal row instead of creating retraction/depression. With the slower tempos coaches can cue an athlete during the pause to set the scaps differently. Too often athletes blow through lighter, scapular based movements without so much as any thought. Cueing an athlete where and what to feel with many scapular patterns can aid in increasing true activation without compensation. There are plenty of studies that show the mind muscle connection to be powerful at creating a stronger stimulus for muscle activation. The lower trap has to the be the most sought after muscle to aid in shoulder health in yet commonly doesn’t pull it’s weight in many athletes. What drives a coach crazy is the fact that they may be doing plenty of such work yet the outcome doesn’t always show that. Why? The athletes aren’t fully using the lower trap when it’s called upon in movements. One method that can be useful is pinpointing the LT with a hand or finger while an athlete is going through an exercise. Not only can the coach see if the LT is kicking in but it also gives feedback to the athlete where they should feel an exercise. When problems arise coaches can adjust athletes scaps on the fly to create the desired LT activation. Once athletes know where and what they should be feeling they can visualize and focus on that muscle and movement pattern while training on their own. How many athletes when pulling just pull with their arms or only really think of the arms moving? On many exercises, we teach athletes to focus only pulling through/with the scaps while leaving the arms as nothing more than hooks to the weight. Instead of going straight to the end result of the arms moving in a direction, we want them to think of using only the scaps to then move the arms. Again, think of it in terms of a cable Y exercise. We don’t raise the arms. They are only a hook to the cable and moving the scaps will move the cable. It takes focus but again the mind muscle connection can get us up and running with greater requirements from the scapular stabilizers.